The picture you probably have in your mind of autism is that of a child. But autism is almost always — if not always — a condition that lasts for life. 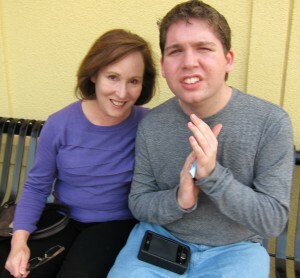 We are the parents of a 22-year-old young man with autism. He barely recognizes our presence, but clearly knows us better than most other people. He cannot speak, but he can read and type to communicate on an app for his iPhone. He cannot use a spoon or button his clothes, but can find Barney videos on YouTube. He is completely unaware that cars are dangerous and cannot cross a street without assistance. He is a representative of the many with autism who are not well known to the media, or to society — not the verbal, gifted, and in some ways sympathetic Rain Man, but the ones with very little social awareness, scattered skills and often challenging behaviors. He is also an example of the obstacles faced as children with autism grow into adulthood. After age 21, his schooling ended. But his needs didn’t change. He has always needed 24/7 care, and he always will. Dr. Barry Gordon. Photo courtesy of the Gordon family. What we and other parents of individuals with autism want for our children when they grow up is no different than what parents of normally-developing children want. We want them to be physically well-cared for, with appropriate food, shelter, clothing and medical care. We want them to be able to maintain the skills for living and working that they were so painstakingly taught. And we want them to learn whatever new skills might help them with living, employment and enjoyment. But let’s not pretend: all of these needs are so much harder to provide for individuals with autism. And, many, if not most such individuals, will not be able to earn enough to provide for their needs themselves, at least in our present system. What is the present system? We oversimplify, but the life of an individual with autism is divided into two parts. The first is daytime activities; the second is residential. For those who can do some type of work, daytime activities can include work, most often in a sheltered workshop or with a job coach. Employment outside of a sheltered workshop is difficult to find and typically requires a parent locating an employer willing to hire an adult with autism. For those who cannot work, daytime activities are typically a day habilitation program run by a licensed agency that offers life skills classes, outings in the community and volunteer work. The burden of finding an appropriate day habilitation program rests largely on the parents, who rely on agency-sponsored fairs, word-of-mouth and their own investigation. Residential care for many adults with autism means living at home. For those hours when the adult with autism is not at work or at a day habilitation program, a caregiver is generally needed at the home. For parents who work full-time, this is a costly endeavor. Caregivers for disabled adults are difficult to find and require hourly rates of $15 to $25 per hour. In other cases, it is the parents who provide the at-home care. Even when an outside caregiver is used, parents must provide care during the time that they are not working. The toll on parents is tremendous, the stress exhausting. Outside residential services are typically a group home or, for a higher functioning adult with autism, may even be an apartment. The hitch is that the number of disabled individuals needing outside residential services vastly outnumbers the spots available. Thus, waiting lists that can be, for all practical purposes, almost infinitely long. It is not unheard of for a widow in her 80s to be forced to keep caring for her autistic son in his 60s. These are the prospects faced by individuals with autism and their parents. The current system is at best ponderous, sometimes impenetrable, incomplete and certainly very expensive. In some respects, the current system and services can’t be faulted. After all, there are many other needy people competing for public funds. And the systems put in place to serve individuals with autism were never really designed for them and for their particular special needs. But we feel that both these problems — optimizing services and minimizing costs — might be soluble now. We now know how to manage big projects — America put a man on the moon, after all. And we do have some idea of what goals we need to achieve for these individuals. We, the parents of children with autism, need to work together to identify the best ways to make the lives of adults with autism as meaningful and fulfilled as the lives of those individuals without autism. As in putting a man on the moon, some of the possibilities may be difficult at first. Many of the obstacles will not be readily apparent. But the goal is in plain sight. Do we have the will to focus our energies on improving the current system rather than continuing to spend dollars on efforts that simply maintain the existing system? If even a fraction of the money and effort now spent on ongoing care of these individuals were restructured into coherent plans that truly focused on the lives of adults with autism, the payoffs to society, to these individuals and to their families is likely to be immense. 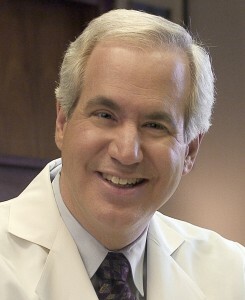 Barry Gordon, M.D., Ph.D., is a behavioral neurologist and cognitive neuroscientist. His research focuses on methods for improving language, memory, learning, and thinking skills, both in individuals with autism and other developmental and acquired brain conditions, and in normally-developing individuals. He is a professor and director of the Department of Neurology’s Cognitive Neurology/Neuropsychology Division at The Johns Hopkins Medical Institutions in Baltimore. He has authored or co-authored over 160 scientific articles and book chapters, and two books on memory for the general public, “Memory: Remembering and Forgetting in Everyday Life” and “Intelligent Memory.” He is Editor-in-Chief of the journal Cognitive and Behavioral Neurology. Renée Gordon is an attorney with the U.S. Small Business Administration. She is currently on the board of directors of The League for People with Disabilities in Baltimore, Maryland, and previously served on the Boards of The Chimes, an organization located in Baltimore that serves the disabled, and Families Together, an organization located in Moscow, Idaho, that serves families with autistic children. Renée is a past participant in Maryland’s Partners in Policymaking, a program devoted to helping parents and caregivers advocate for themselves and their disabled children.